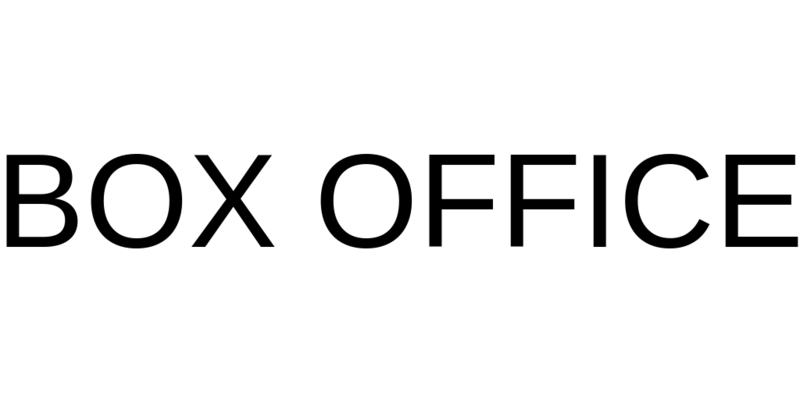 We are delighted to be able to announce that the title of this years’ production is “Once Upon A Forest”. Written for us by Rachel Barnett, it is a humorous twist on all those fairy tales we know and love. 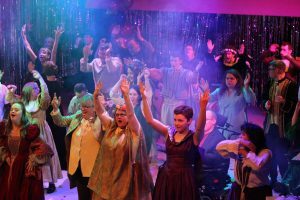 Play In A Week -a week-long fully inclusive project, enabling actors with learning and/or physical disabilities to enjoy the magic of theatre. In this often hilarious tragi-comedy, three sisters come together before their mother’s funeral, each haunted by their own demons. The three each have different memories of the same events, causing constant bickering about whose memories are true. Playwright Shelagh Stephenson was born in Northumberland and read drama at Manchester University. She is the author of several original radio plays written for BBC Radio, including Darling Peidi , The Anatomical Venus and Five Kinds of Silence (1997), which won the Writer’s Guild Award (Best Original Radio Play). Recent plays include Life is a Dream and Nemesis, broadcasts in 2004 and 2005 respectively. 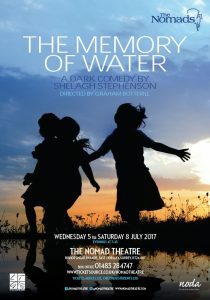 Her first stage play, The Memory of Water (1997), which opened at the Hampstead Theatre, London in 1996, won the Laurence Olivier Award for Best Comedy. This was adapted for film, and produced as Before You Go in 2002, starring Julie Walters. Here are the cast in rehearsal! Auditions for males, 20-30 playing age are still open! 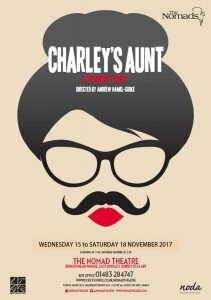 A comedy by Brandon Thomas set in Oxford in 1882, this English farce follows the hilarious events that arise when two students, Jack and Charles, use the excuse of the imminent visit of Charley’s aunt Donna Lucia to invite their young ladies to their rooms. Director Andrew Hamel-Cooke‘s most recent productions include Shakespeare’s Twelfth Night and The Pajama Game (in association with Bookham Light Operatic Society). See the Reviews page for more! 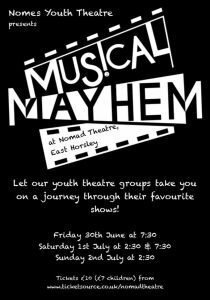 All the Nomes groups join together to present a selection of drama and singing from a variety of popular musicals. 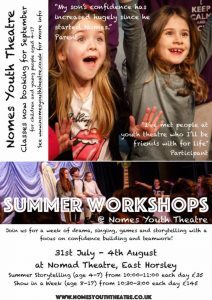 Find out all about the Nomes Youth Theatre here. Classes now booking for September and summer school. 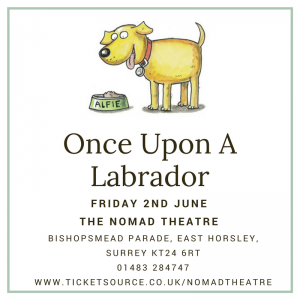 “Once Upon a Labrador” is an evening of humour with Charles Garland and Alfie. This is a fundraising event for the new Greenroom building. Recorded cameo music by Rick Wakeman, with occasional extracts from the book “My Labrador Eats Poo”. Charles Garland is a writer and composer, television producer and director. His performing career began at Birmingham Repertory Theatre as a dancer in a musical, and ended at The Old Vic Theatre as actor / musician in a production of Dickens’ Great Expectations. Soon after, Charles joined the BBC, as assistant to Sir Jonathan Miller for a new production of Cosi Fan Tutte. Following that, he worked on shows such as Blue Peter; three Royal Variety shows; sketch and variety shows, including The Paul Daniels Magic Show as well as dramas and a stint as director of Top Of The Pops. Sitcom became a major part of his working life, with Terry and June; Joint Account; and Last Of The Summer Wine as assistant producer, and assisting David Croft OBE, on Hi-De-Hi! ; ‘Allo ‘Allo! ;You Rang, M’Lord? and Oh, Dr Beeching! as producer. Next, over a three year period, Charles re-edited most of the classic comedy archive for the BBC, including Dad’s Army; Are You Being Served? ; Steptoe and Son; Porridge; The Good Life and more. Having left the BBC, Charles is now freelance, and going back to his roots with his book of ‘whimsical verse’ entitled ‘My Labrador Eats Poo’ (not quite as disgusting as it sounds) illustrated by Harry Venning, and this stage show, which features Charles, and his Labrador Alfie. 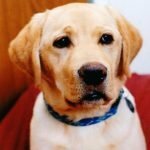 Follow Alfie on Facebook and Twitter! Rent is a rock musical loosely based on Puccini’s opera La Boheme It tells the story of a group of impoverished young artists struggling to survive and create a life in New Yorks East Village in the thriving days of Bohemian Alphabet City, under the shadow of HIV/AIDS. The physical and emotional complications of the disease pervade the lives of Roger, Mimi, Tom and Angel. 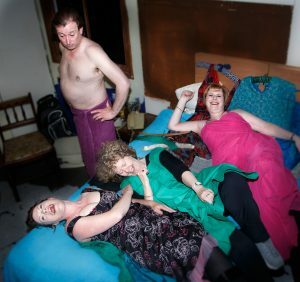 Maureen deals with her chronic infidelity through performance art; her partner, Joanne, wonders if their relationship is worth the trouble. Benny has sold out his Bohemian ideals in exchange for a hefty income and is on the outs with his former friends. Mark, an aspiring filmmaker, feels like an outsider to life in general. How these young bohemians negotiate their dreams, loves and conflicts provides the narrative thread to this groundbreaking musical. On Broadway, Rent gained critical acclaim and won a Tony Award for Best Musical among other awards. The Broadway production closed on September 7, 2008 after a 12-year run of 5,123 performances. The success of the show led to several national tours and numerous foreign productions. In 2005, it was adapted into a film featuring most of the original cast members. 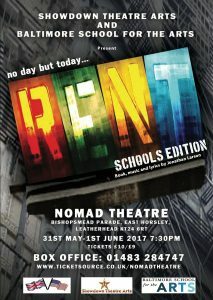 Rent School Edition is exuberant, passionate and joyous. This adaptation has been carefully done, working with the Larson estate to retain the dramatic intent of the groundbreaking rock musical, and consists of minimal changes to language and the removal of one song (“Contact”) to make it possible for many young people to perform this piece. 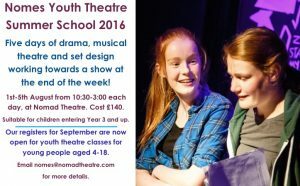 Showdown Theatre Arts is a part time theatre school based across Surrey, Hampshire and West Sussex for young people. The rivalry between farmers and cowboys provides the backdrop to the love story of cowboy Curly and farmer’s daughter Lauren and the road to statehood for Oklahoma. Truly one of the greatest musicals of the 40s and 50s era and since. 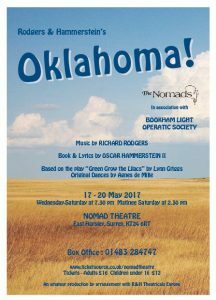 Bookham Light Operatic Society is a friendly active society of keen amateurs who put on musical shows in the Fetcham Village Hall and the Nomad Theatre. 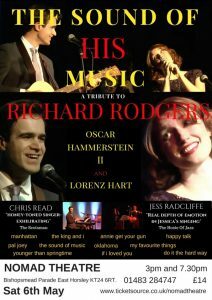 ‘Rodgers and Hammerstein’ refers to an influential, innovative and successful American musical theatre writing team consisting of composer Richard Rodgers (1902–1979) and lyricist-dramatist Oscar Hammerstein II (1895–1960). They created a string of popular Broadway musicals in the 1940s and 1950s, initiating what is considered the “golden age” of musical theatre. Five of their Broadway shows, Oklahoma!, Carousel, South Pacific, The King and I and The Sound of Music, were outstanding successes, as was the television broadcast of Cinderella. 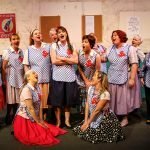 The most recent production from The Nomads with Bookham Light Operatic Society was The Pajama Game in May 2016. A celebration of some of the greatest songs ever written. 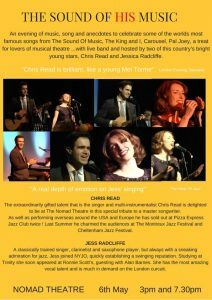 Featuring Chris Read and Jess Radcliffe, supported by a live band! Come and hear songs from Carousel, The King and I, The Sound Of Music, My Favourite Things, Pal Joey and more … ‘Something Good’, ‘The Lady Is A Tramp’, ‘Have You Met Miss Jones’… the list goes on. Richard Rodgers was an American composer of music for more than 900 songs and for 43 Broadway musicals. He also composed music for films and television. He is best known for his songwriting partnerships with the lyricists Lorenz Hart and Oscar Hammerstein II. His compositions have had a significant impact on popular music up to the present day, and have an enduring broad appeal. 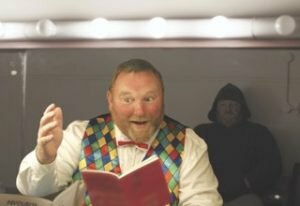 This one-man comedy play ‘My Dog’s Got No Nose’, by Ron Aldridge, takes us on a journey through the events surrounding a stand-up comedian’s first ever public performance. Stand-up comedy, unrequited love, animal lovers, facts of life, sibling rivalries and mercy-killing are just some of the elements covered in this very funny and bitter-sweet story, as we discover that both the man and the ‘performance’ are not quite what they seem. The countdown to Philippa’s marriage to Christopher is almost up, but they’re just coming back from a funeral. The death of her beloved aunt Susan is just the first event of many that makes Philippa reconsider her future happiness. A young teacher in a modern day independent school and his class, struggle to exercise power. Four children travel through a wardrobe to the land of Narnia where it is always winter but never Christmas. Most of the novel is set in Narnia, a land of talking animals and mythical creatures that one White Witch has ruled for 100 years of deep winter. In the frame story, four English children are staying in a large, old country house for a holiday. 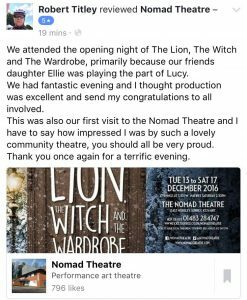 The youngest visits Narnia three times via the magic of a wardrobe in a spare room. All four children are together on her third visit, which verifies her fantastic claims and comprises the subsequent 12 of 17 chapters except for a brief conclusion. In Narnia, the siblings seem fit to fulfill an old prophecy and so are soon adventuring both to save Narnia and their lives. Lewis wrote the book for, and dedicated it to, his goddaughter Lucy Barfield. She was the daughter of Owen Barfield, Lewis’s friend, teacher, adviser, and trustee. After going in twice the four children go in together for the last time. They battle wolves, meet talking animals, encounter a evil white witch and meet a magnificent lion named ‘Aslan’. Will this be the end of their journey to Narnia or will they stay? The Lion, The Witch And The Wardrobe is a timeless classic that children cherish and adults adore. This production is directed by Anthony Kemp. 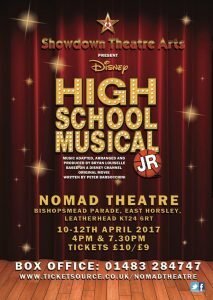 Get a 10% discount on food at The Duke and also Goose (Bishopsmead Parade) by showing your tickets for that day’s performance. 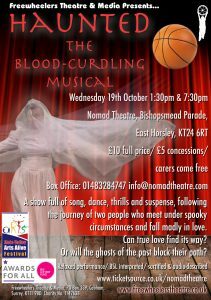 The perfect play for Halloween, ‘Haunted – The Blood-Curdling Musical’, is a show full of song, dance, thrills and suspense, as it follows the journey of two people who meet under spooky circumstances and fall madly in love. Set in an old theatre filled with mysterious and peculiar characters, the tale tells the story of the two lovers and the obstacles they have to overcome to be together. Can true love find its way? Or will the ghosts of the past block their path? Book your tickets now to find out…if you dare!! Get 10% off food at The Duke and also Goose (Bishopsmead Parade) by showing your tickets for that day’s performance. Based in Leatherhead, Surrey, the group have toured our work across South East England. 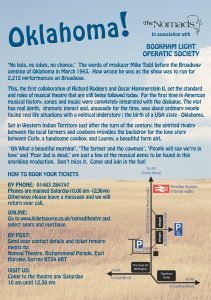 We have collaborated with English Touring Opera and the National Theatre. Our multimedia projects are viewed across the world. We work with people of all abilities. 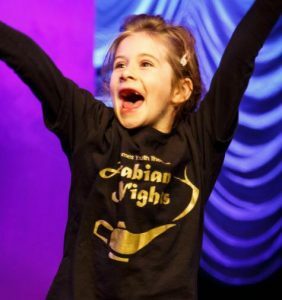 We nurture individual talents and our members take on diverse responsibilities including choreography, lighting, mentoring and public speaking. All of our projects are underpinned by an ethos of teamwork which brings all our skills together. In addition to our touring theatre productions, we run weekly workshops in dance, drama, music and media and create performance opportunities for our members to share their work in public. All of our projects are professionally led and managed and our work is supported by a team of dedicated volunteers. 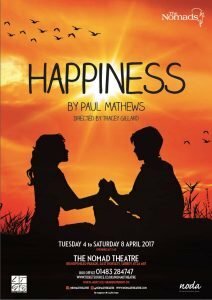 Get a 10% discount on food at The Duke and Goose (Bishopsmead Parade) by showing your tickets for that day’s performance. Social disorder, role reversal and cross-dressing are the main elements in this sublime comedy. Come to Illyria with us and enjoy a fun filled romantic comedy with one of William Shakespeare’s greatest plays that has stood the test of time. There are all the elements of confusion, shipwreck, disguise, and passion, with much humour. This very amusing play is all too often taken too seriously. Shakespeare was writing for the ordinary person in the street and they loved a good bawdy show. At the same time, we can learn much from his play about the frailties of human nature as well as the ‘tricks’ we play upon ourselves. 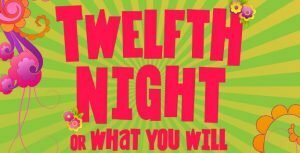 In Twelfth Night we have both a delightful and raucous frolic with improbable coincidences, making it almost farce, and love at first sight. There are love triangles with self-love, secret love and falling in love with love, truly the human condition. The Bard writes ‘If music be the food of love ….’ Today we live in a time of music and love. None was more so than the 1960s from where we take our incidental music. 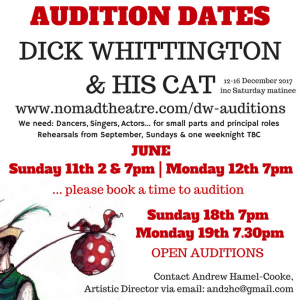 They sang then ‘All you need is love’, we find that here in Twelfth Night he leads us through an interesting tale of social disorder, role reversal and cross dressing; then he allows ..‘time, thou must untangle this …’ so all will be well in our comedic play. 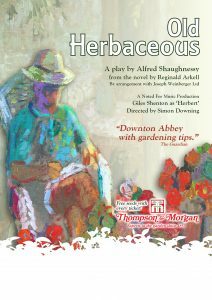 This production is performed by a diverse and talented cast whose grasp of the Bard’s language will make the work accessible for all audience members both young and old. Andrew has most recently directed The Pajama Game (musical), Cinderella (pantomime), Sisterly Feelings (play) and A Midsummer Night’s Dream (Oct ‘14) which drew its inspiration from Seventies Glam Rock music and dance – a very interesting and entertaining take on the traditional Shakespeare, you can bet that Andrew will bring the same level of energy and innovation to Twelfth Night! Andrew has been in theatre from a very early age, appearing in all genres from Shakespeare to Pantomime. He has performed and directed with Nomads for about twelve years. Originally trained at Italia Conti Academy of Theatre Arts he worked as a professional dancer, singer and actor in the UK and abroad. 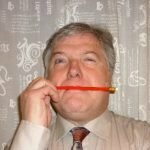 Andrew has also been a drama teacher in secondary education. 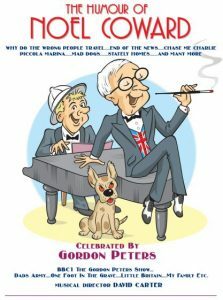 Following the great reception of their Flanders & Swann show last year, Gordon Peters and David Carter are returning to the Nomads with their Humour of Noel Coward show. The experiment of a Sunday matinee worked so well they are pleased to do it again on a Sunday afternoon – September the 4th at 2.30pm. Besides the usual favourites – Mad Dogs… Stately Homes, Mrs Worthington, and there will be some not so well known Could You Please Oblige Us With A Bren Gun?, Bar on the Piccolo Marina and I Wonder What Happened To Him? etc..
Of course there are so many anecdotes about Noel Coward. A treasure trove of wit and good humour. You’ll hear the best. Sir Noël Coward (16 December 1899 – 26 March 1973) was an English playwright, composer, director, actor and singer, known for his wit, flamboyance, and what Time magazine called “a sense of personal style, a combination of cheek and chic, pose and poise”. Born in Teddington, south-west London, Coward attended a dance academy in London as a child, making his professional stage début at the age of eleven. As a teenager he was introduced into the high society in which most of his plays would be set. Coward achieved enduring success as a playwright, publishing more than 50 plays from his teens onwards. Many of his works, such as Hay Fever (performed at The Nomad Theatre in 2016), Private Lives, Design for Living, Present Laughter and Blithe Spirit, have remained in the regular theatre repertoire. He composed hundreds of songs, in addition to well over a dozen musical theatre works (including the operetta Bitter Sweet and comic revues), screenplays, poetry, several volumes of short stories, the novel Pomp and Circumstance, and a three-volume autobiography. Coward’s stage and film acting and directing career spanned six decades, during which he starred in many of his own works. Five days of drama, musical theatre and set design working towards a show at the end of the week! 1st-5th August from 10:30-3:00 each day, at Nomad Theatre. Cost £140. Suitable for children entering Year 3 and up.